You don’t have to spend a fortune to get your hands on the concealer of your dreams. Here are our Top 3 Budget Friendly Concealers that are worth every single penny! This concealer is totally worth the hype. 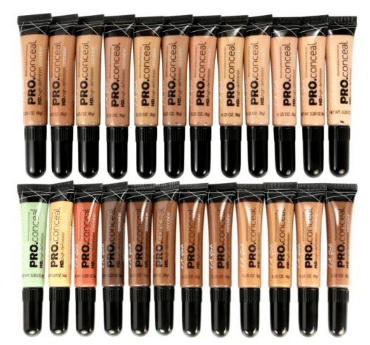 Available in 25 shades ranging from fair to deep, in cool, neutral and warm undertones. Has a matte finish that won’t settle or accentuate fine lines and pores. Long Lasting formula that can also be used to contour and add definition. Comes with a large doe foot applicator that allows for smooth application that won’t drag on the delicate skin under your eyes. This concealer for dark circles and fine lines instantly creates a radiant, refreshed looking eye area.